Dale L. Thomas passed away on Tuesday, July 5, 2016 at Shawn Manor nursing home in Ponca City. He was 78 years old. A memorial service will be held at 2:00 p.m. on Saturday, July 16, 2016 in the upper floor of Bank First in Blackwell. Dale was born on January 29, 1938 to Cecil and Virgie Thomas in Purcell, Oklahoma. 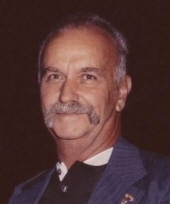 He attended school and graduated from Fowler High School in 1956. Dale married Mary Gardner on June 1, 1959 in Greensburg, Kansas. He worked for Williams Natural Gas for 31 years until retiring in 1997. Dale is survived by his wife, Mary, of Blackwell, his daughter, Robin Thomas, of Andover, Kansas, his son, Tony Thomas, of Blackwell, grandson, Jesse Tah, of Wichita, granddaughter, Amanda Kakoulias, of Andover, granddaughter, Destiny Allen, of Claremore, grandson, Tracey Roberts, of Ponca City, granddaughter, Shelly Stires and husband Craig, granddaughter, Lizzy Armon and husband Draven of Longmont, Colorado, granddaughter, Nikkie Sather and husband Dean, of Bismarck, North Dakota, granddaughter, Jennifer Thomas, of Bismarck, great-granddaughters, Kylee, Graclynn, Mina, Symphony, Harmony, Autumn, and Stormie, great-grandsons, Maddox, Lawson, Jude, Bastion, and William, brothers, Cecil Thomas and Harold Thomas and his wife, and sister, Deloise and her husband. Dale was preceded in death by his parents, Cecil and Virgie Thomas, brother, Jerry Thomas, and son, Rick Thomas. Your thoughts and prayers are greatly appreciated in this difficult time. Expressions of sympathy may be brought to the memorial service or mailed to 1511 South Main Street, Blackwell, Oklahoma 74631. To send flowers or a remembrance gift to the family of Dale Leon Thomas, please visit our Tribute Store. "Email Address" would like to share the life celebration of Dale Leon Thomas. Click on the "link" to go to share a favorite memory or leave a condolence message for the family.